Gabe Salazar reasons that he has learned how to plan a choral trip, simply because he knows how not to plan one. The recent tour of Colorado, Oklahoma and Texas by GCU’s New Life Singers was pulled together in a mad rush by Salazar, the director of the 14-member choir and its four-piece backing band. When an originally scheduled tour of the Pacific Northwest fell through, he began Googling. After hundreds of emails and calls by Salazar to churches in the three states, New Life had itself an itinerary and departed immediately after Commencement. 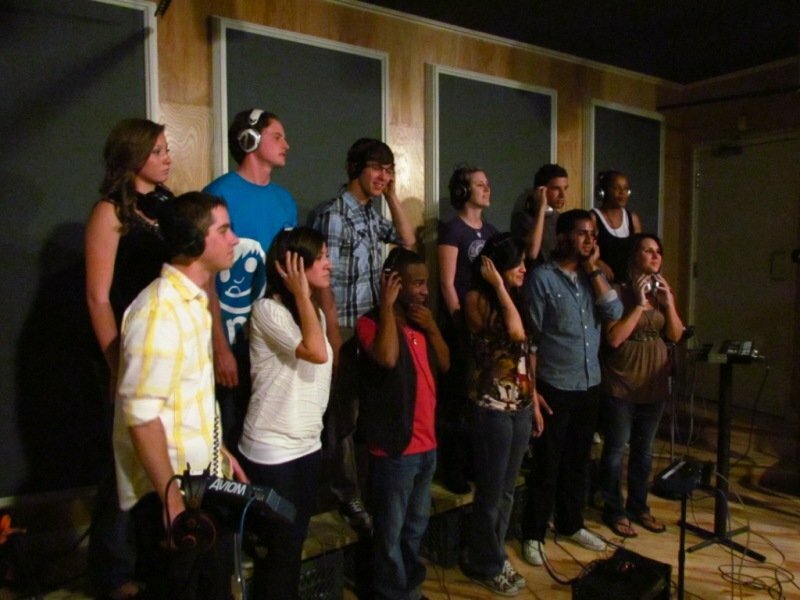 Over two weeks, the group gave 16 performances and spent nearly a full day in a Denver recording studio that had been used by Kanye West and Jordin Sparks, working on the soundtrack for a promotional video. Back on campus last week after 4,500 miles of riding a bus, Salazar appeared tired but happy. The tour followed a six-day, 11-performance trip to California over spring break. Salazar said he’d like to add short weekend engagements to the spring and early summer tours next school year. He’d also like to expand the group’s material, so that it can sing before a wider variety of audiences. “That shows our versatility as musicians,” he said. This year, New Life totaled more than 100 performances, and some of those gigs were full-on, hourlong concerts. In selecting the choir, Salazar said he looks for more than vocal talent. The traveling isn’t over for Salazar. Next weekend, he leaves on a two-week music missions trip to Rwanda, as part of a group of nine that will work with the Rwandan Children’s Choir and also build a house for a widow. Let me know some of your performances if near Toledo, Oh and need to listen to choir on youtube.